CRSSD Fest returns in spring of 2019 with Odesza, Phantogram, Petit Biscuit and more. We're already looking forward to the new year but on Tuesday morning, CRSSD Festival upped our anticipation a few more notches by announcing its spring 2019 lineup. Prep your rompers and glow sticks because on March 2-3, CRSSD Fest invades San Diego's Waterfront Park yet again. As always, the ninth and latest incarnation of the two-day event takes place downtown right on the water -- and the just-announced lineup features a slew of instantly recognizable names in electronic/pop music. 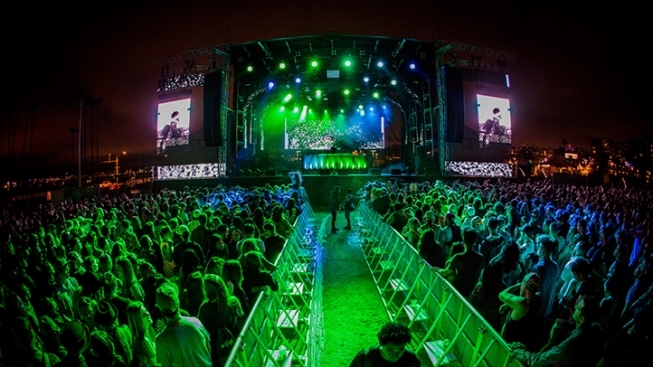 Top headliners include Odesza, Phantogram, Jungle, Petit Biscuit, Ladytron, Stephan Bodzin, Lane 8, the Martinez Brothers, Armand Van Helden, Justin Martin and many others. According to event organizers, the Dec. 4 announcement is just the beginning ("the first wave," as they call it) so there should be even more big names on the way. Advance tickets go on sale on Tuesday, Dec. 11, at 11 a.m. PST at this website. Sorry young ones, CRSSD Fest is a 21-and-up event.